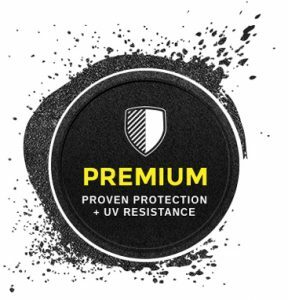 LINE-X® PREMIUM couples the abrasion and impact protection you already trust with our STANDARD formula with the UV protection a bedliner needs to stay new-looking forever. While your vehicle ages, LINE-X® PREMIUM safeguards your truck bed from solar burnout and fading. At least one part of your truck will never look worn out.